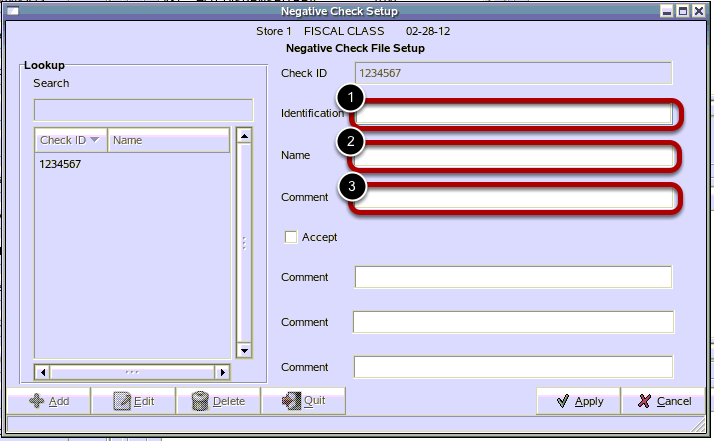 TravStar1 Point Of Sale SystemManager's Work Station Additional SetupHow Do I Add a Bad Check Customer? How Do I Add a Bad Check Customer? 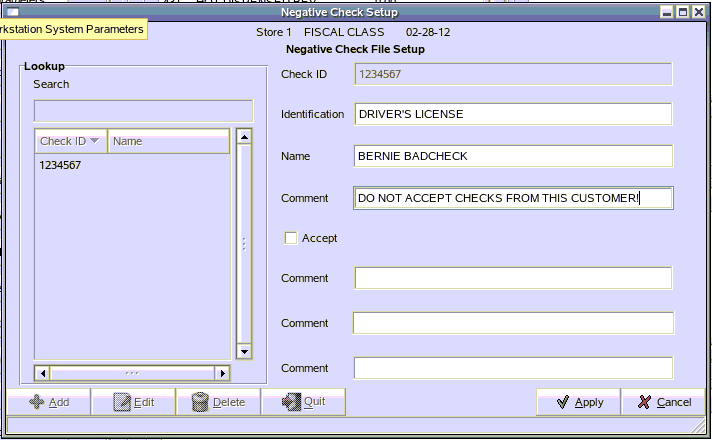 This lesson will teach you how to add a customer that has written you a bad check to your negative check file list so that an alert will show at the register for your cashiers. From the main menu, click on the "Setup" button. 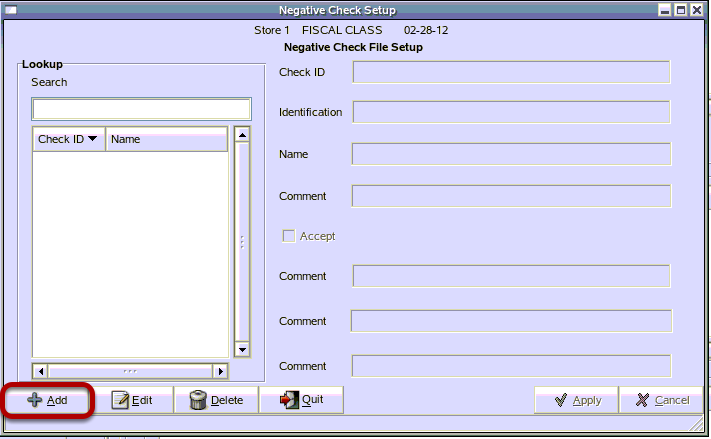 From the Setup Menu, select "Negative Check Setup". Click on the "Add" button. 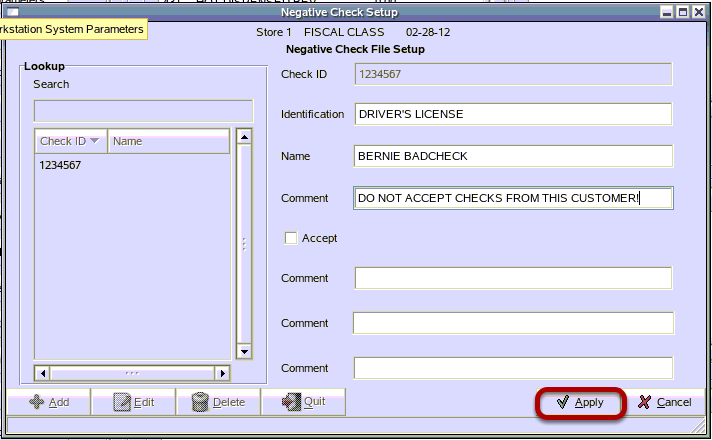 1) In the Enter Check ID field, type in the identification number you will use at the Register when receive a check. For example, a driver's license number can be used as a Check ID to identify a customer. 2) Select the "OK" button. 1) Type in the method of identification you are using for this customer. For example, you can type in "Driver's License." 2) Type in the full name of the customer. 3) Type the comment that you would like to appear to the cashier when this customer attempts to use a check. Additional comments can be added in the 3 extra comment fields. Click on the "Apply" button. 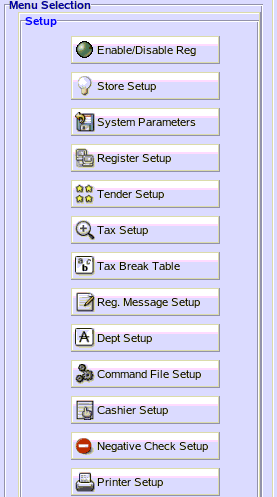 Prev: How Do I Setup and Send Commands to the Register? Next: How Do I Remove a Bad Check Customer?